Today marks the introduction of a new column: Ask Sanity Fair. "If you want your roof inspected, eyebrows tweezed, or bills collected, just leave everything to me!" Oh wait - that's Hello Dolly. Anyway, Ask Sanity Fair (or Ask SF when I'm feeling lazy) is the place to ask your elusive home and style shopping questions - items you're curious about, struggling to find, or just want to see more options or opinions on. Got a question? Email me (sanityfairblog(@)gmail.com). I'll pick one a week, and answer it here. Off we go! Here's our first question from Elise in DC: "Having to tote my laptop to work every day, I am always on the lookout for functional and fashionable ways to carry all my techie toys. 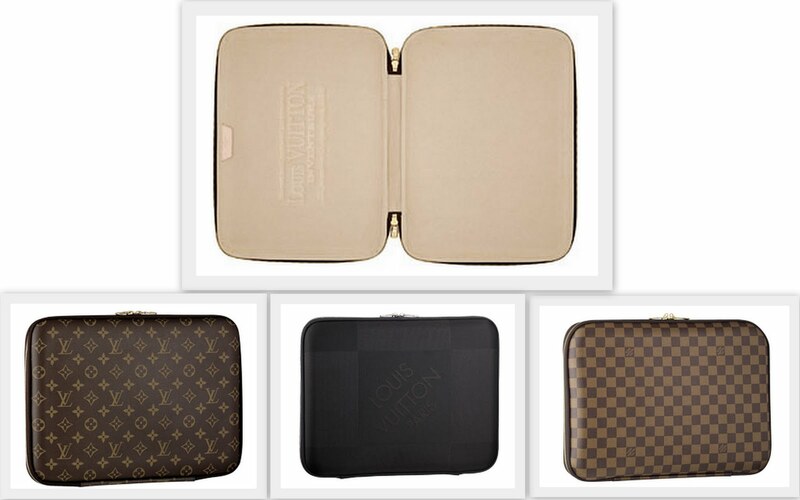 While I take such care in choosing my handbags, I'm stuck with a plain black laptop case they sell in the Mac store. You should do a piece on fashionable laptop cases/sleeves/bags. There is NOTHING out there!" OK, so that was actually more of a statement. But, yes, there are a lot of wonderful laptop sleeves out there - just not usually in brick-and-mortar stores, and thus, much tougher to find. But lucky us. We all have internet access! Here are 14 great websites where you can get the case of your computer's dreams - prices and links included. Carrie realizes she can't take her computer outside her apartment - no stylish case! 1. 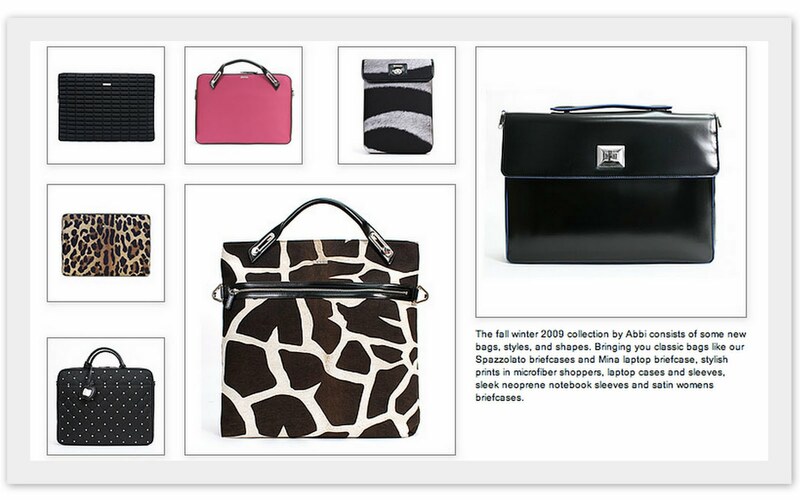 They had me at "zebra. "This is my personal style favorite, and thus number one on the list. A series of smart and chic laptop, ipad sleeves, and computer bags from My Abbi, available at equally smart prices ($49.95 - $89.95). 2. Or, go subtle. 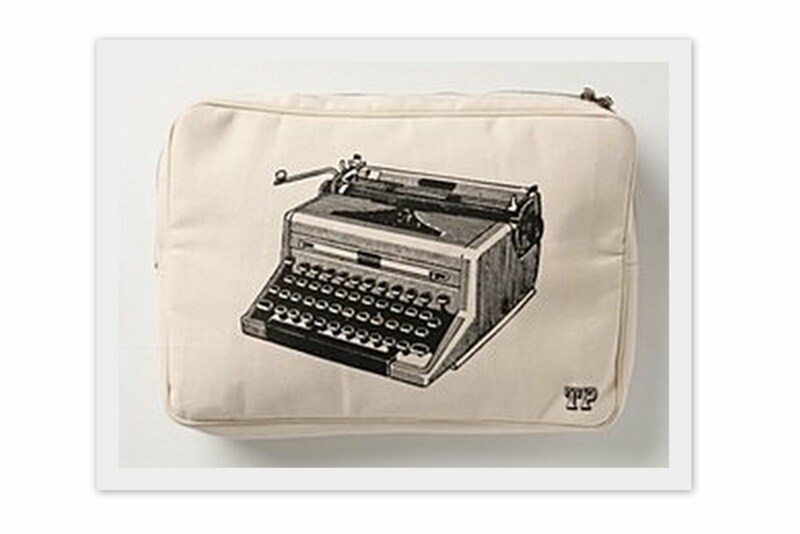 De-glam your machine with this appropriately named Luddite Laptop Case, from Anthropologie ($68). 3. Want something a little more 5th Avenue? 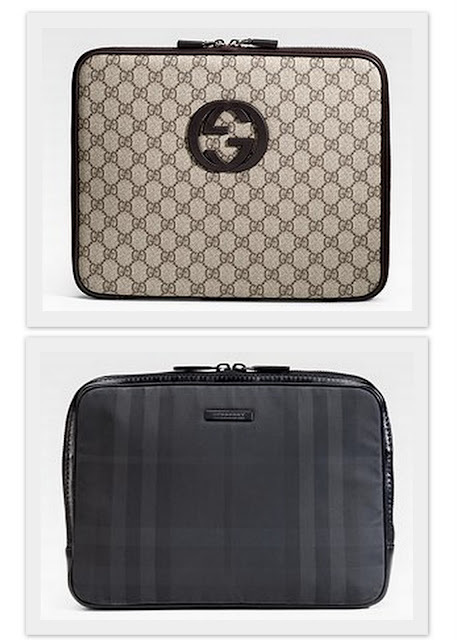 Saks has it in the bag: Gucci computer case ($395) and Burberry nylon laptop sleeve ($375). 4. 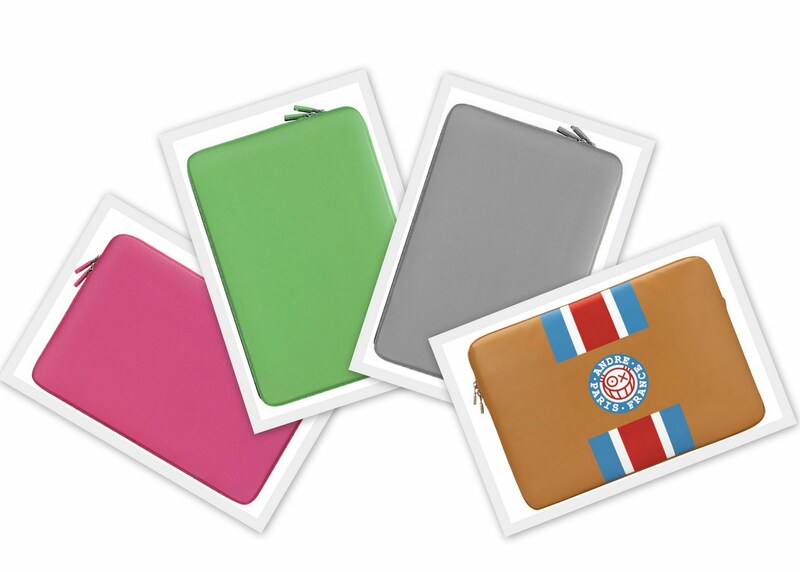 If plain and simple is your thing, try these smart sleeves from incase ($39.95 - $59.95). 5. Downplay modern tech with a charming blue toile bag from Etsy shop Lollington ($37.95). 6. Or go the opposite of girly floral: a sleek, unisex case. Organic for J.Crew Kansai ($285). 7. Cheap 'n chic? Lil Slim offers these 10 fun patterns, and each is only $17! 9. For all you Aussie readers out there, here's a great choice on your home turf (but despair not fellow citizens - Anthropologie carries them too): darling botanical prints from charming company Mozi ($59.95 in AUS dollars or about $55 US). 10. 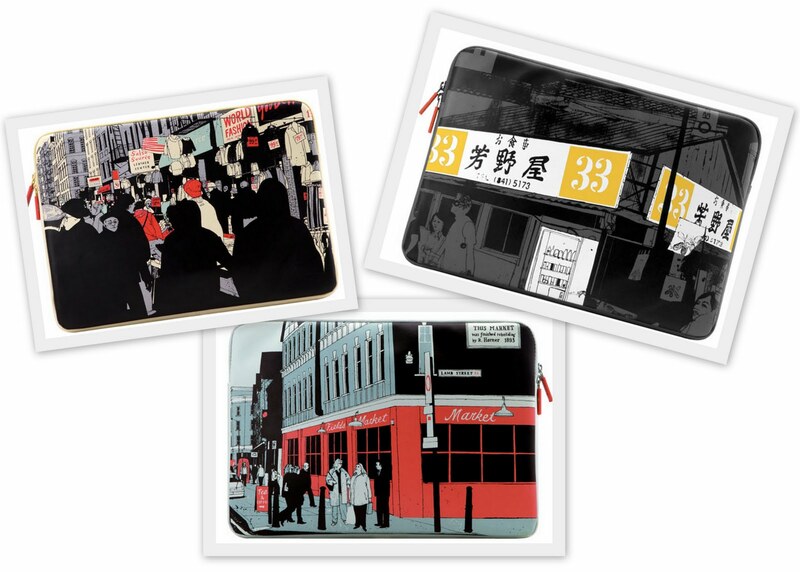 Or go from country to the big city with creative graphics from Evan Hecox, available from incase ($59.95). 11. 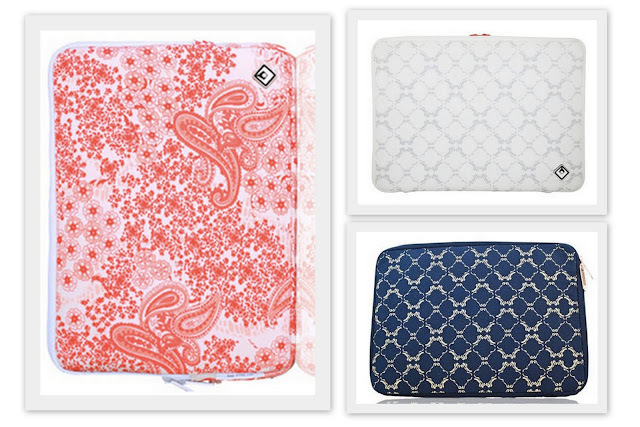 Feminine prints from Beach Audio will pretty up your machinery ($26.99). 12. 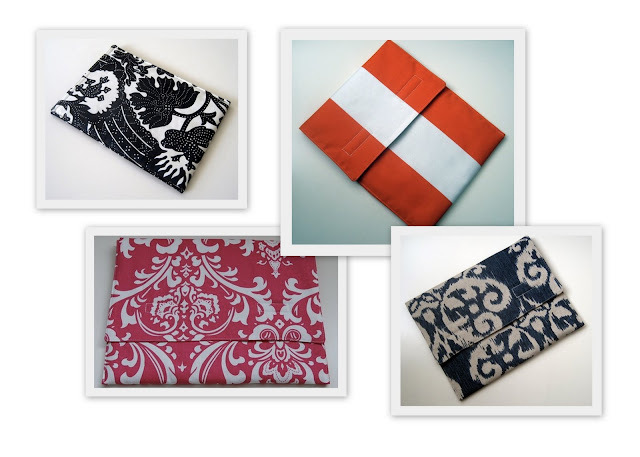 Etsy shop JiuJiu makes these great covers in graphic prints, from Indian Ikat to nautical stripe. The prices are just as pretty at $18.99. 13. Still didn't find anything to tempt you? Boy, you're hard to please! 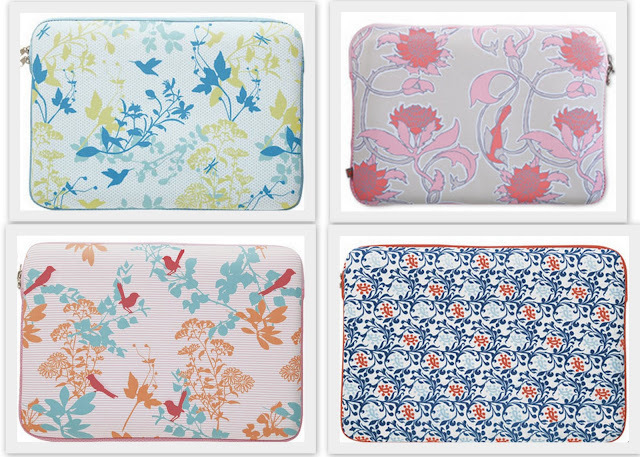 If you like to choose your own fabric, or have a laptop in an unusual size, try something custom. 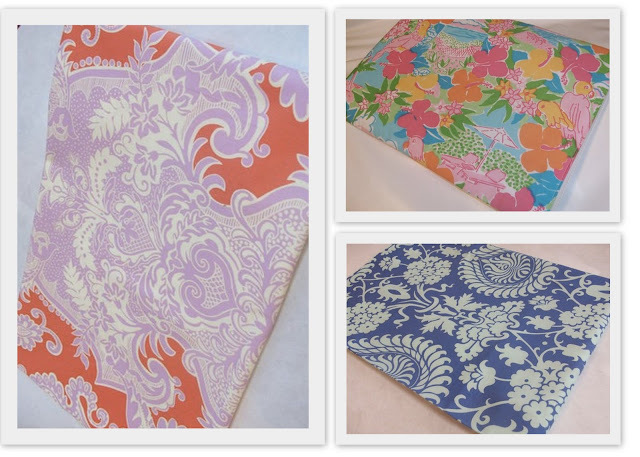 Some Etsy stores, like Mabels, can work with you to match your needs (I'm in love with the Lilly Pulitzer print!) Available at $25 - $35. 14. 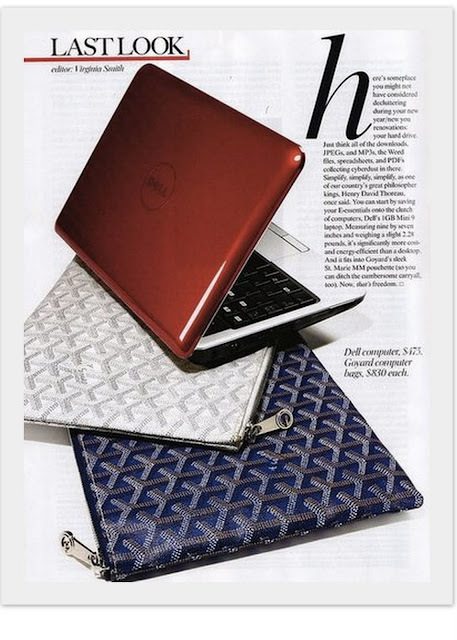 And last, but most certainly not least: the cadillac of laptop covers, at $830 a pop, by Goyard and featured in Vogue's Last Look. Those zipper pulls had better be platinum! Shopping Tip: Know your computer size (usually measured in inches). There are multi-size bags - and bags come in multiple sizes! Make sure you get the right one. That's it for Ask Sanity Fair! Have a question you need answered? Comment below, or email sanityfairblog(@)gmail.com. I'll select a new question each week! All images from companies, as attributed above. Red laptop clutch from Cool Computer Bags. Pic of Carrie blackheartmagazine.com. 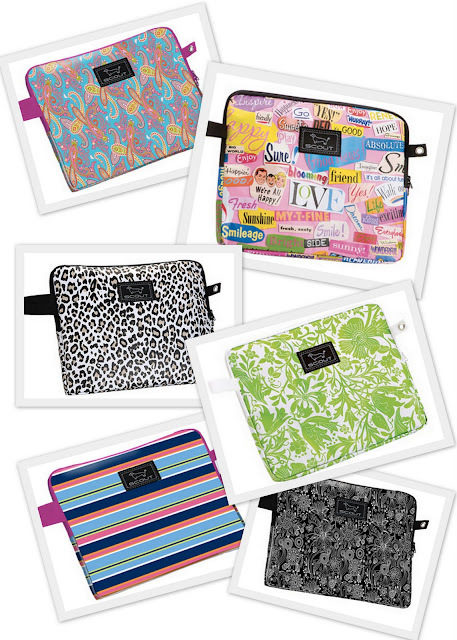 Who knew there were so many laptop bags out there!! Thanks for this. I'd also like to thank you for your roar of approval on my Revolutionary Fashion installation. It seems that this work appeals a lot to ladies in the south and eastern USA. Too bad I don't live a little bit closer! P.S. Your ask a question service is great. oooh, i like this new series and you did a great job rounding up so many options from different price points! awesome. Oh I so LOVE this post! I have the same problem, I cart around a big boring black laptop bag everyday and it feels so blah! I love these picks...inspires me to finally get something a little more fashionable. Thomas Paul makes some great ones too (looks like your #2 is a Thomas Paul bag). Lovely laptops. My "Ask Sanity Fair" question would be to this; What is appropriate cell phone etiquette? I have a friend who seems to have an addiction and even when we make time for one another, the cell phone intercedes. Help SF! I love this post. 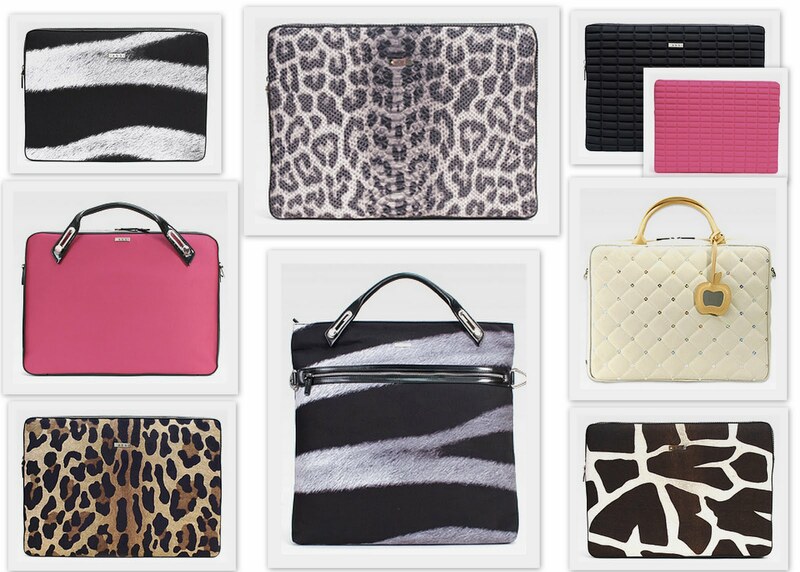 I had no idea there were so many laptop case options out there. I am starting a new job next week and definitely was on the hunt for the perfect carry all. Some great choices. Those Goyard bags are gorgeous. Amazing roundup! I am all over the map with what I love here...incase and Goyard for me! Great stuff! Love your style, love your blog. I'm dying for that goyard cover. I'll have to visit it here. So many beautiful options ... .
which looks like an old leather book. anthropologie has once again stolen my heart. i won't be a poor college student forever, right? oh wow, i need all of them! really nice finds. have a lovely day! wow. i just absolutely love it. OMG, I'm on the lookout for one! Mine is too bulky, the usual computer bag from Best Buy, I love the one from Beach Audio,only $26.99, wow! 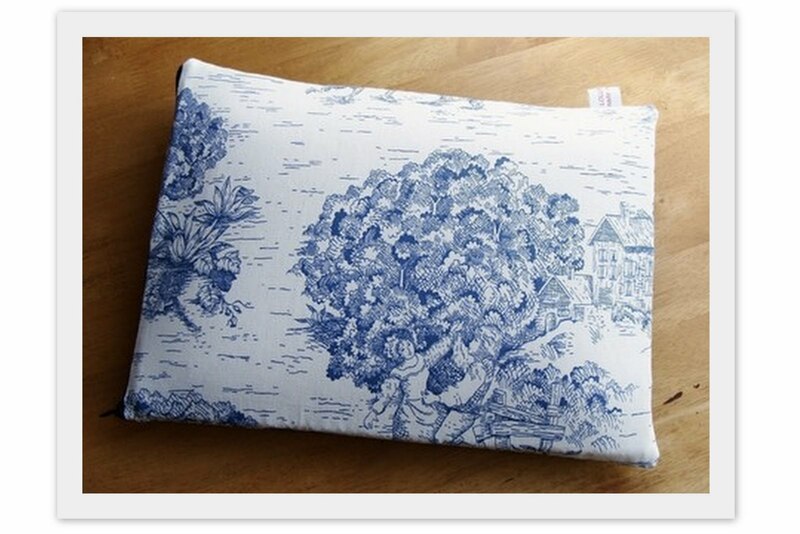 Love the Anthropologie, and the toile! 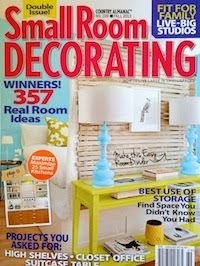 And I am delighted to find another kindred Southern blogger, I grew up in the ATL! 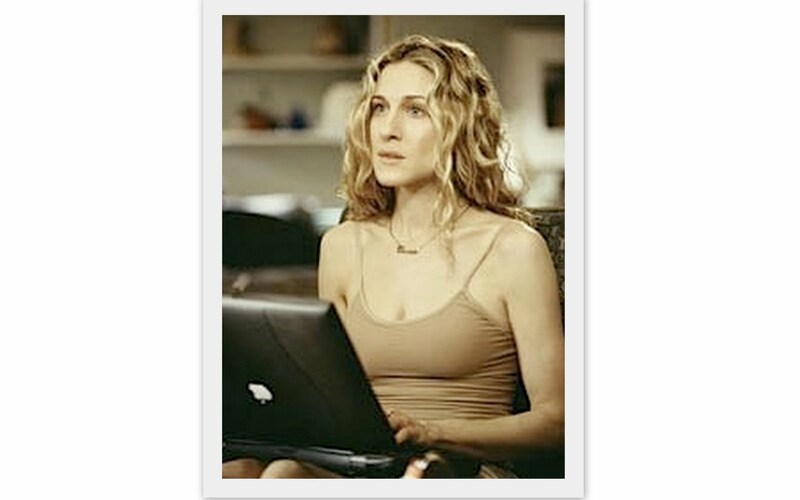 Also, the name of your blog is fabulously clever, I am definitely following! Can't wait to see more, I'll be back soon! Cheers! Sanity, darling, thank you for this fun and practical post! The Duchess has been on the hunt for a stylish laptop carrier for months now -- you provided more than enough resources to find the perfect one! Great writing as always. I want so many of these, it's not even funny! Oddly enough, I happen to be in the market for a new laptop case for my Apple...thanks for some great ideas -- I will be certain to check a few out! Don't forget Built NYC (occasionally on One Kings Lane)--they're well padded, modern, and darling. Love them. The sleeves are less than $50! This is a fantastic list- I thought I new several, but there were many I had never heard of. ooh, wanting the Goyard one. What beautiful picks!! I love them all!! Now to the awful task of having to narrow down to just one. I am in dire need of a new case (well not really but after reading this post, that is what I have been telling myself! ), you have given me loads of inspiration! 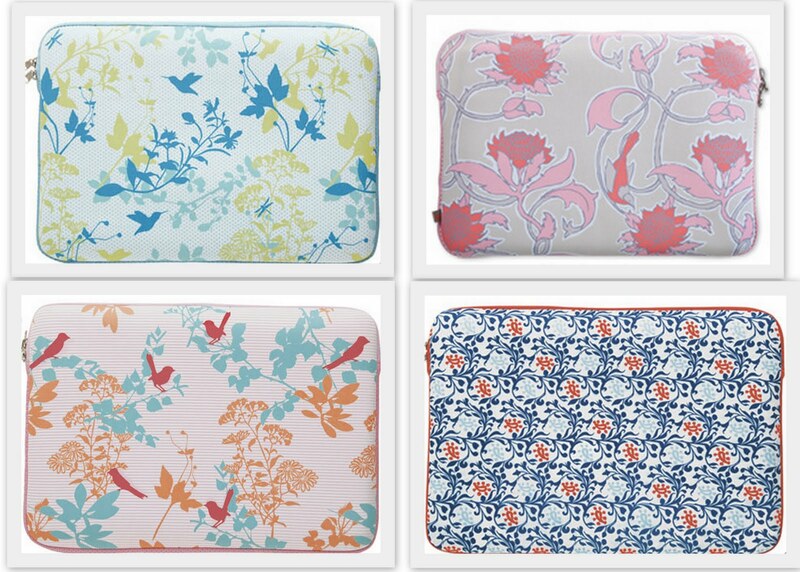 I love the designs these laptop cases. As a student I love trendy cases that would match my outfit on my day to day Canadian Laptop's life. Well, my laptop is my life. It holds all my personal info, feelings, and works and most especially it serves as my diary. I guess my life needs to be a little sophisticated with these awe-inspiring cases.